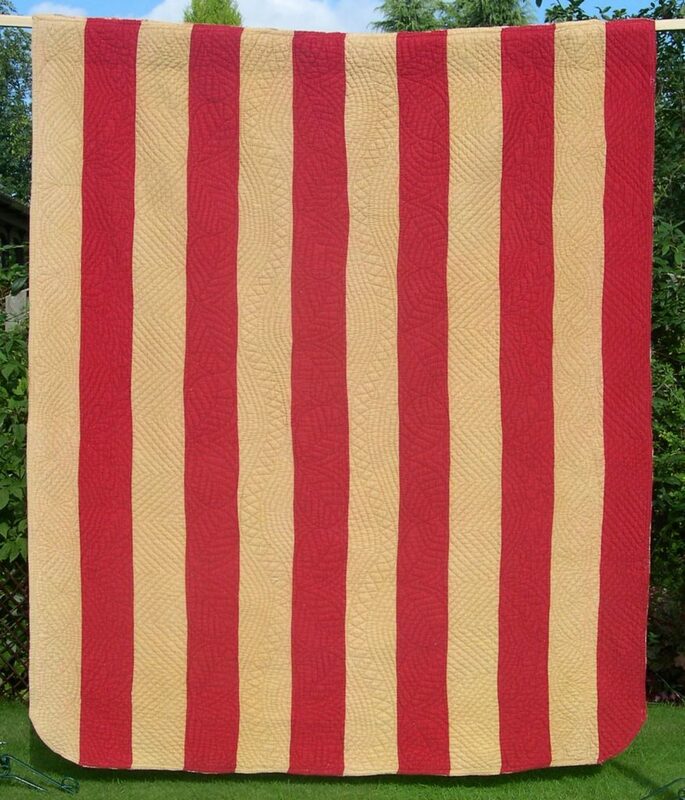 Strippy quilts were very popular in the late nineteenth and early twentieth centuries, particularly in the North East of England, as they were quick and easy to make. 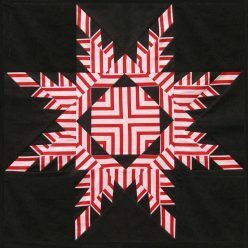 Made from two alternating fabrics (usually plain), the designs were simply stitched along the strips, requiring little planning. Typical designs included cables, running feathers, bellows and linked circles. 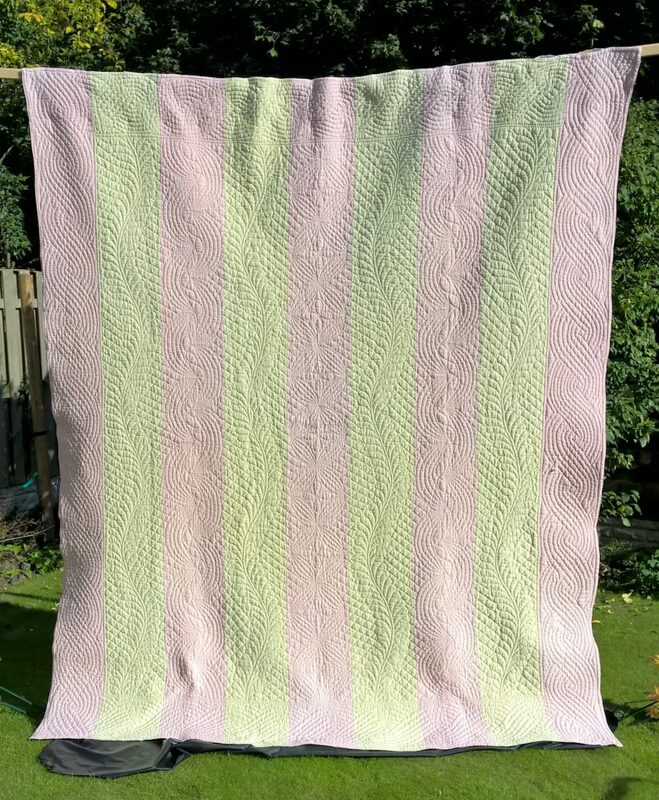 Click on the images above or below to go to separate pages about these examples from my collection, with close-up photos, and more details. 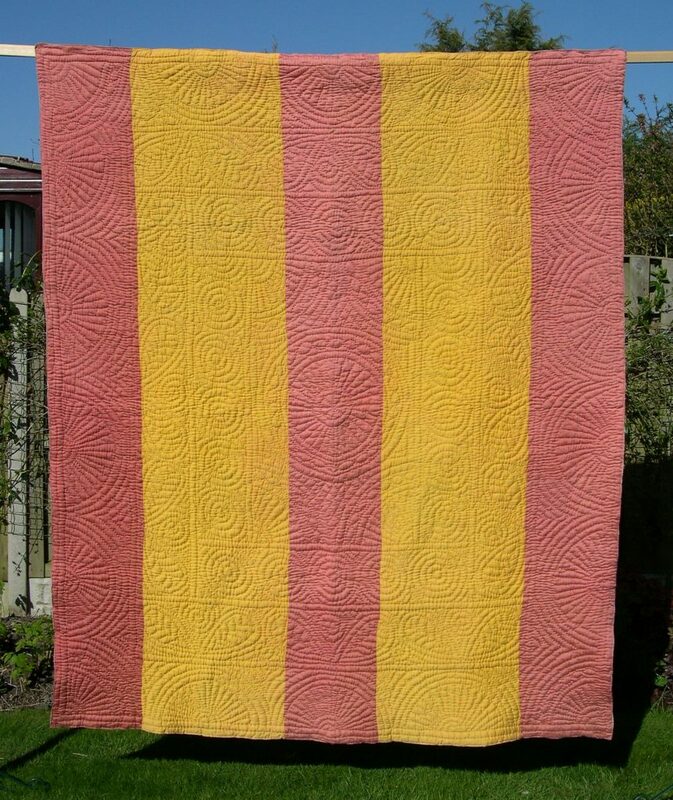 The pink and cream one is very typical of those made in the 1920s/1930s, while the Turkey red and white one (which has some beautiful and unusual quilting patterns) and the Turkey red and Sand one are probably a little earlier. 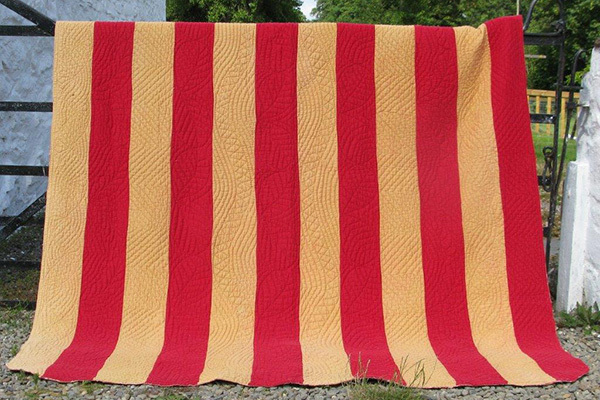 Click here to see Wholecloth Quilts or here to go to the beginning of the section about my antique quilts, including some of the patchwork ones. 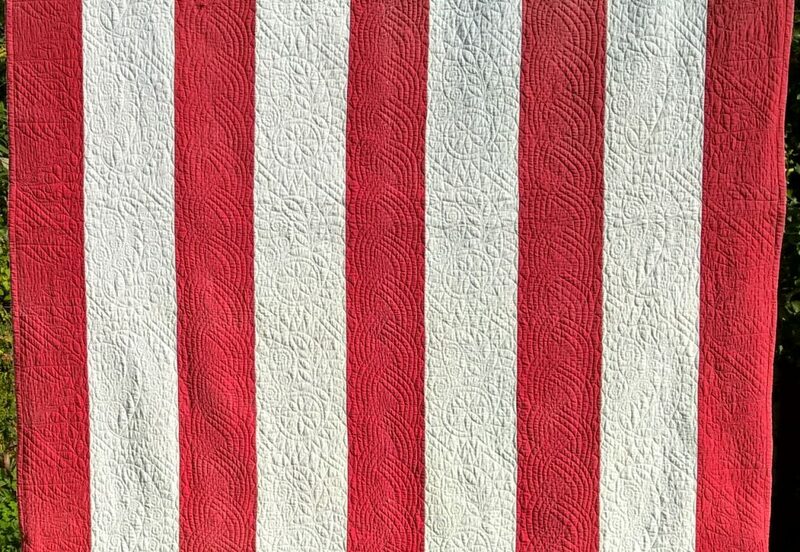 If you would like to know more about how hand-quilting is done, click to go to the Quilting page in the Techniques section.